In the heart of one of the most charming areas in Lisbon, Hotel Borges Chiado acts as an unparalleled refuge, boasting charisma and the perfect combination between tradition and a contemporary feel. Just a few meters from Bairro Alto, Rossio, Príncipe Real, and even Mercado da Ribeira, this hotel in Lisbon takes precedence over a quality and elegance-driven stay, which strongest feature is its location: Hotel Borges Chiado is 30 minutes away from the Lisbon Airport by car or subway, and it’s also extremely close to Baixa-Chiado subway station. For those who are willing to know and discover the real Lisbon, full of enthralling traits and well-kept secrets, Hotel Borges Chiado is the place to be. With an awe-inspiring view over Largo do Chiado, where the frenetic energy from the hustle and bustle can become contagious in a heartbeat, Hotel Borges Chiado offers a wide range of rooms. From single, double, twin, and triple to superior, superior with a view over Chiado, and deluxe suite, each room has its own unique character and every amenity absolutely necessary for a good night’s sleep. Stay in the center of Lisbon, Chiado, enjoying the tranquility of our rooms. With a wide range of rooms available, our visitors can opt for a stay with all the amenities as well as maximize your holiday, business or romantic weekend getaway by opting for one of our superior rooms with city views. Hotel Borges Chiado's reception is open 24 hours a day, 7 days a week. The hotel also offers car rental, laundry and ticket service. Hotel Borges Chiado is a true experience for every special moment in yourlife, whetherit’s a holiday trip, a business expedition or a romantic getaway. In addition to being open 24/7, Hotel Borges Chiado also provides a car rental service, a laundry service, and it also serves as a ticket office for different kinds of shows,from Fado to theatre plays and concerts, amongst others. Breakfast is on us, but the others meals can be enjoyed in the almost infinite number of incredible restaurants in Lisbon, and only a few steps from Hotel Borges Chiado. Between our typical Portuguese cuisine and an astonishing fusion of international tastes, we guarantee you won’t leave without falling in love with Lisbon’s flavours. Lovely meeting rooms with natural light which are suitable to make any kind of event. 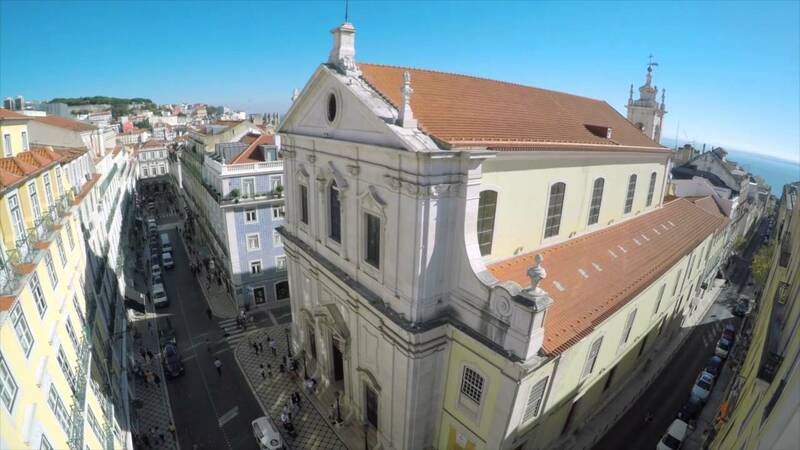 The Mario Viegas Theatre, Chiado Museum or the Fado Clubs are located a short walk away.